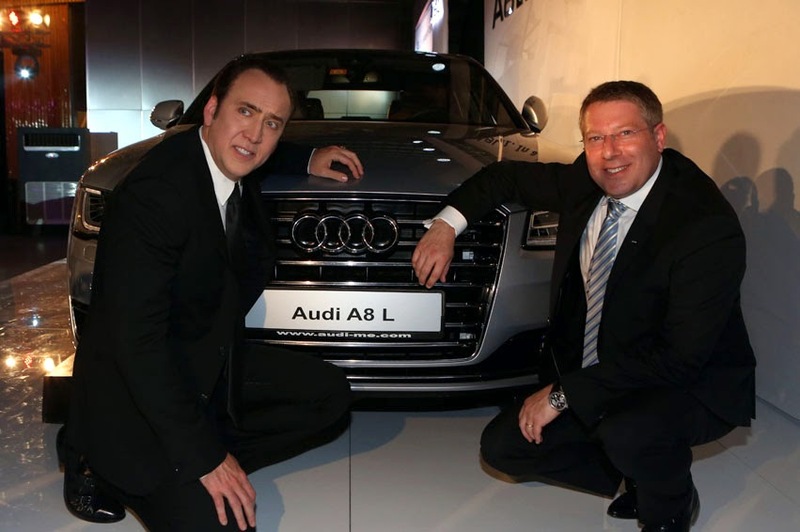 Audi announced the launch of its successful flagship - the new Audi A8L which has been exhaustively updated. Offering superior design, hand-built quality, lightweight construction and an abundance of high-end technologies, the new Audi A8L is priced at Rs. 11,295,000 for ex-showroom Delhi and Rs. 11,143,000 for ex-showroom Maharashtra, and is available at all Audi dealerships across India. "2014 shall continue to be landmark year for Audi in India in terms of initiatives on the product and network front. With the launch of the new Audi A8L, I am confident that we will further consolidate our leadership position in the market. The new Audi A8L offers luxury connoisseurs in India excellent comfort, superb craftsmanship, strict lightweight construction and a broad portfolio of high-end technologies which truly reflect brand's philosophy of Vorsprung durch Technik," said Joe King, Head, Audi India. An important USP of the new Audi A8L is the 'Audi Exclusive' which offers customers countless combinations - close to 'infinite' customisation options, to customise and personalise the new Audi A8L as per their choice. In addition to 111 exterior colours, 23 leather colours, 27 customisable parts and 12 wooden inlays, customers can also opt for personalised headrest logo, door sill trims and exclusive folding tables. The most important highlight of the new Audi A8L is the Matrix Headlamps, first by any luxury car manufacturer. A direct evolution of Audi's signature LED headlights, the high-beam comprises of 25 small, individual light-emitting diodes per unit that can be switched on and off or dimmed individually as needed - delivering a phenomenal 966,105,422 different illumination configurations. This enables the headlight system to react to oncoming or preceding vehicles and blank out light with great precision while continuing to fully illuminate the rest of the road. 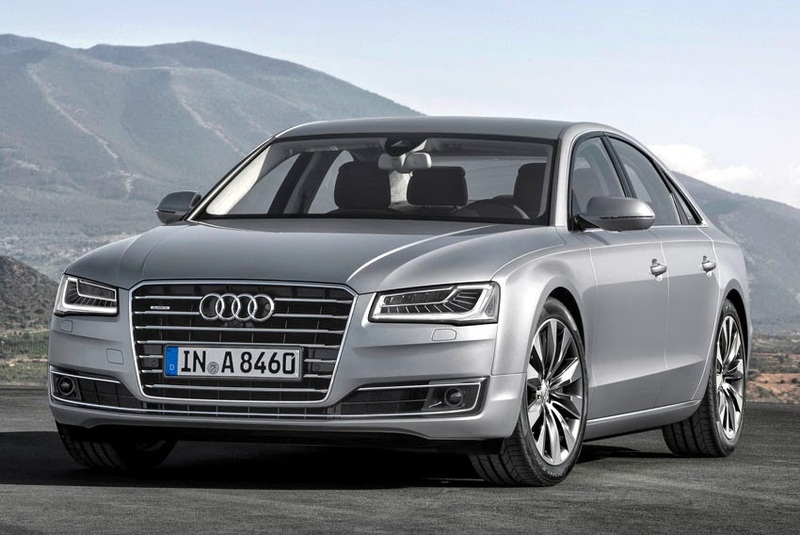 The new Audi A8L has undergone the largest update in its history. The engine hood, the single-frame grille and the front bumper are even more sculptured, while the straight lower edges on the headlights give its face a more eye-catching look. The rear of the new Audi A8L has been completely redesigned and is now more homogeneous than ever before. A chrome brace has been integrated to the rear lights. Although the size of the tail end has not actually changed, its new design renders it much flatter and thus broader. The engine lineup has become more powerful and efficient to offer better performance and optimum efficiency. The new Audi A8L has one TFSI gasoline engine and two TDI units. These are the V8 biturbo 4.0 TFSI with 320 kW (435 hp), the highly efficient 3.0 TDI with 180 kW (250 hp) and the 4.2 TDI with 283 kW (385 hp). Output of the 4.2 TDIq engine has been increased by 35 hp and of the 4.0 TFSIq by 15 hp. In the 3.0 TDIq, the torque is increased by 30 nm while the fuel efficiency is increased by 20 per cent. The 4.0 TFSI accelerates the new Audi A8L from 0 to 100 km/hr in 4.6 seconds. Equipped with a fast and smooth-shifting, eight-speed tiptronic, the Audi A8L owes its sporty character in large part to the sophisticated chassis. The quattro and Audi drive select system is standard. In the interior of the Audi flagship, the elegant lines and generous spaciousness stand out. Every detail demonstrates the hand-built character of the new Audi A8L. Audi offers a wide range of options, for the front seats, including ventilation and massage functions in five programs. Adaptive air suspension with Audi drive select is standard. There are many additional luxury features from which to choose- from the Rear Seat Executive package and Bang & Olufsen Surround Sound System to Park Assist, Surround View Camera, panoramic-sunroof, air ioniser, head-up display, Audi Wireless Internet Access, among others. The new Audi A8L is 5.14 m long, has a wheelbase of 3.12 m, is 1.95 m wide, and 1.46 m tall. An outstanding strength of the sedan is its lightweight construction. The Audi A8L 3.0 TDI quattro has a curb weight of just 1,935 kg - the lowest among the competitors with all-wheel drive. An Audi Space Frame (ASF) made almost entirely of aluminium, it weighs just 231 kg.